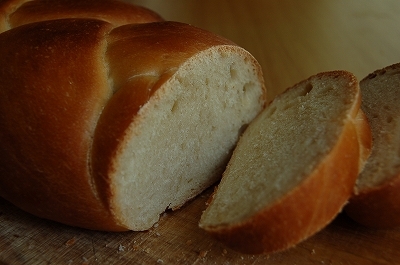 Zopf is a type of rich bread made from white flour, milk, egg, butter, sugar and yeast, comes from Switzerland. I know the best zopf maker in NZ, she told me about Zopf!! 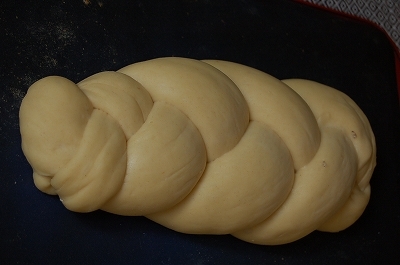 The dough is brushed with egg yolk before baking, it becomes golden crust. It is baked in the form of a plait and traditionally eaten on Sunday mornings. 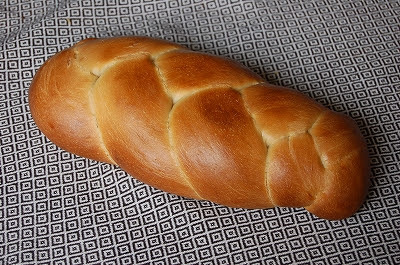 Zopf is rich taste like Brioche. It contains lots of butter, so be cereful for over baking. Bake at 180c. It is easy to be golden to over brown!! Cut into the slices, have some for breakfast or branch!! 1. 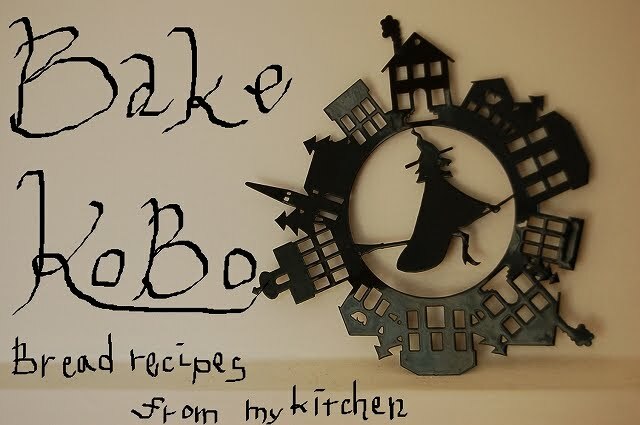 In a bowl, dissolve yeast in lukewarm milk. 3. 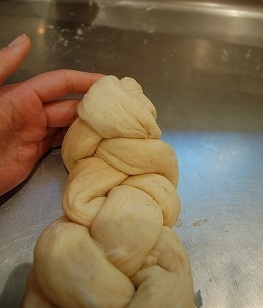 Put the dough into a bowl with cover, place it warm place (35℃) till it becomes double size, 1-1.5hour. 4. Pour the dough onto the floured counter, then deflate it, knead it briefly, divide it to 6 pieces.Roll each into a 40cm long Set the dough with cover for 20minutes. 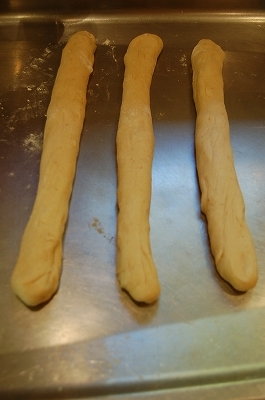 Roll back the edge of the dough . 6. 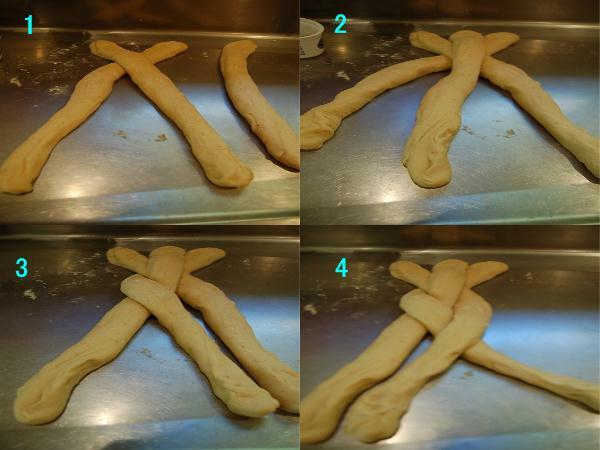 Set the dough onto warm place for 30minutes. Meanwhile, preheat the oven at 180c. 7. In a small bowl, mix 1/2 egg and milk together , make the egg wash. Brush it on the dough. 8. Bake it at 180c for 20-25 minutes.